There has long been controversy about the nature and pace of the transformation from Roman Britain to Saxon England. Some scholars argue that there were few instances of major conflict and that the transition took place relatively peacefully over a long period of time. Others argue that the Romano-Britains and the early Anglo-Saxon invaders lived side by side for a century or more with little contact. 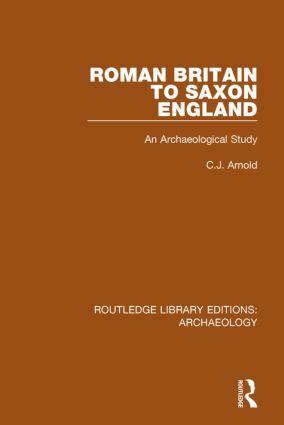 This book, based largely on archaeological evidence, presents an interpretive history of the transition period and demonstrates how Roman Britain evolved into Anglo-Saxon England over the fourth and fifth centuries. The emphasis is on the archaeological evidence because this is the physical and material legacy of man’s activities and, unlike the scanty written sources, is not a reflection of political events. The author argues that much of the past uncertainty about this crucial period stems from the sharply conflicting interpretations of the chronicles. Preface Introduction 1. Collapse, Migration and Pioneers 2. The Fate of the Towns 3. The Pattern of Rural Life 4. Industry and the Structure of the Economy 5. Population and Society 6. Transition in Religion 7. A Dark Age?